Amazing golf & lake views of the Jack Nicklaus “Bear Trap” from this 1-level, luxurious, soft contemporary home at 1117 Grand Cay Drive in prestigious Grand Cay at PGA National. You will love the spacious open living area accented by soaring ceilings, crown molding, marble floors, and expansive glass panels drawing you to the sweeping views where you can bask in the perfect sunset vistas. Open, combined, stylish white kitchen and family sitting area overlook the views. The master suite is oversized and has an oasis marble bath. Situated on one of the best lots in all of PGA, the residence features desirable one-story living and the Eccelstone’s Signature quality finishes. This stunning home is available with gorgeous sleek furnishings. 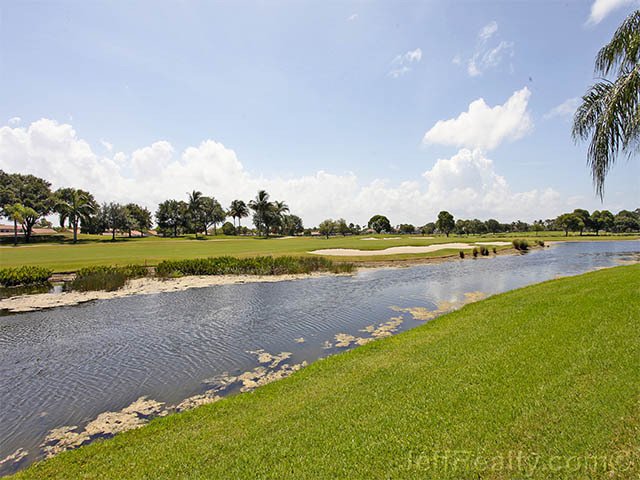 Posted in PGA National, PGA National homes, PGA National homes for sale on June 25, 2013 at 4:45 am.